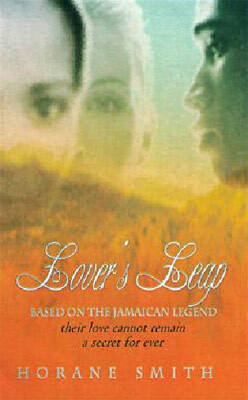 Lover’s Leap: Based on the Jamaican Legend, by award-winning Jamaican-born Canadian author Horane Smith, will be the subject of one of dozens of papers on cultural and social issues that will be presented at the 10th International Conference on New Directions in the Humanities, which will be held in Montreal, Canada, in June, this year. Noha Faisal Mohamed, Associate Professor of English Language and English Literature at Ain-Shams University, Cairo Egypt, has selected Lover’s Leap as one of two novels she proposes to discuss the subject of mixed/fixed relations. The other novel is Forbidden Quest by American writer Dar Tomlinson. On the other hand, Dar Tomlinson’s Forbidden Quest is about Paul Michael Quest, a handsome immigrant from Jamaica. He meets Carolyna Sinclair who belongs to a wealthy, prejudiced family. Both Paul and Carolyna are faced with the same choice of mixed/fixed relationships with the different other. Will the protagonists of both novels, though belonging to different races, different cultures, and have different values, succeed in breaking and crossing the boundaries separating them to reach harmonious grounds and a common territory, thereby achieving the interconnection of two different nations? It’s not the first time that Smith’s novel Lover’s Leap, which has just been re-released as an ebook, has caught international attention. Shortly after its publication in 1999, the late British best-selling author John Prebble picked up the novel at a bookstore in London, describing Smith as “one of our best emerging writers.” In 2006, the sequel to Lover’s Leap – Dawn at Lover’s Leap, was a finalist in the USA Booknews Bestbook Award for Historical Fiction. Speaking from Toronto, where he lives, Smith said he was “thrilled with the selection. The novel, published in 1999, tells the story of the legend of Lover’s Leap, in St. Elizabeth, where forbidden love ended in tragedy on the 1700 ft. cliff overlooking the turquoise waters of the Caribbean Sea. The Egyptian professor will be making a virtual presentation in English. She has conducted many researches focusing on interdisciplinary studies, feminism, ecology and sociology. The conference, sponsored by the International Journal of Humanities and Social Sciences, is held annually in different locations around the world. Over the past eight years, the Humanities Conference has established a reputation as a focal point for new ideas and new practices in humanities research and teaching.